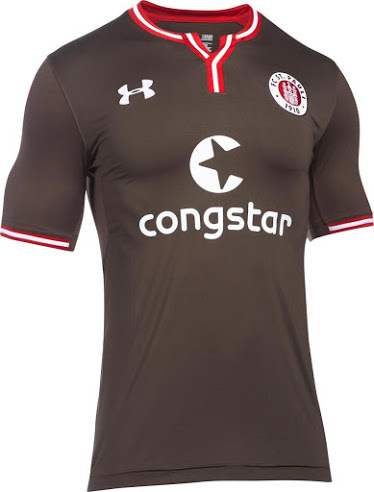 Although we probably won't get to see this kit in action very much next season, unless of course you're on of those football hipsters who enjoys to watch the second tier of German football - but you have to sit back and amire St Pauli's new kit. Released ahead of the upcoming season, the home, the away and the third kit are all uniquely beautiful. 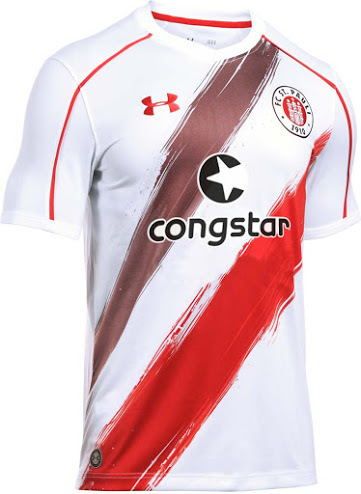 You have to commend Under Armour's first effort as kit suppliers for the Bundesliga 2 side. This is bold by Under Armour considering the safe home kit, but the result is beautiful. It's as if the brown and red stripes have been created by a paintbrush stroke, which granted doesn't sound that nice on paper - but it really comes off on the finished product. Where can we buy one? Another bold move by Under Armour, but their fans are going to absolutly love this one. 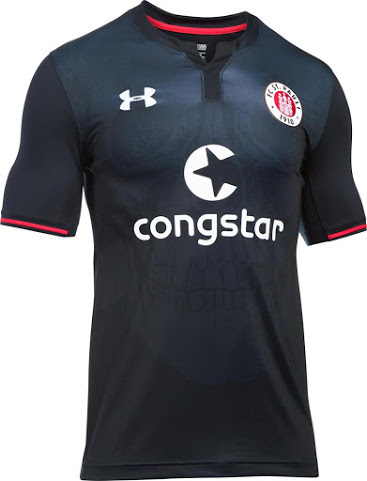 St Pauli fans have adopted a skull and crossbones as the unofficial emblem of the club, and the kit creators have managed to include the skull on the kit. The all black kit with the red trims by itself is a winner, but the subtle touch that is the skull across the entire front of the kit is a very cool feature. Any of these three kits are a football hipsters dream, and don't be surprised if you see these kits on the street over the course of the season.